Her most ardent Republican partisans went straight for her jugular, as it were, on specious grounds that Representative Ocasio-Cortez had rather cavalierly presumed to haughtily and disdainfully impugn both the significance and relevance of those who had tweeted by saying that their thoughts and prayers were with the victims and their relatives. But that is precisely what the rancid hypocrisy of the members of the National Rifle Association (NRA) and their supporters and sympathizers has squarely been about. In Charleston, just like Christchurch, it was a thuggish gang of some White Supremacists that decided to snuff the living daylights out of some 50 devout Muslims, while in Charleston, South Carolina, it was an unconscionable and remorseless lone gunman who had wasted the lives of some 20 African-American worshippers in the oldest Black Christian Chapel in the state that was once the foremost commercial hub of the infamous Trans-Atlantic Slave Trade. Actually, the most appropriate description of this most sacrilegious act of criminality of the highest order ought to have been the Barbaric European Trade in African Humanity, except that the African end of this most scandalous act of self-denigration and self-destruction would have been unjustifiably, infantilely and facilely muffed up, almost as if the African was beyond the redemptive pale of civilization. 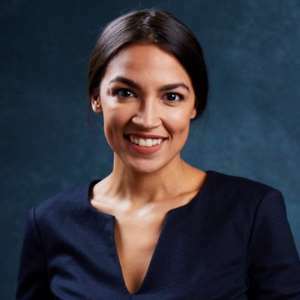 You see, the three deadly incidents mentioned by Congresswoman Ocasio-Cortez would probably not have occurred, if the NRA’s Amen-Corner in both the United States’ Senate and the Lower-House of Congress had not made it cheaper to purchase and/or own an AR-15 assault rifle than a relatively far less massively destructive handgun or pistol. At least that was what we all learned some two years ago, when a couple of frustrated African-American veterans of the United States’ Military decided to do target-shooting practice with the bodies and lives of some widely perceived racist Texan police officers, following several incidents of what well appeared to be an open-season of the rampant and reckless wastage of African-American lives. Then, of course, there was also the Pittsburgh, Pennsylvania, Synagogue tragedy, in which nearly a dozen Jewish lives were wasted by some White Supremacists or a White Supremacist, I forget which; I also found it onerous and plain tedious to Google the specific identity of the criminal suspect or suspects as of this writing. The fact of the matter is that like her or dislike her, Rep. Ocasio-Cortez placed her finger on the true cause of not only the mass Mosque shootings in Christchurch, New Zealand, but also right here in the Mega-Nation that is the United States of America. And the problem, of course, has to do with lax gun-purchasing laws. We are also told that at the time of the two Mosque shootings, New Zealand was on the verge of thoroughly overhauling its gun laws. Here in the USA, however, it well appears that the NRA worshippers of “Westerns Cowboyism” have deeply dug in their heels beyond the reach of any legal or judicial bulldozer.